This entry was posted in Uncategorized on 2018-06-12 by bbatiz. Abstract: We use new manufacturing GDP time series to examine the industrialization in Argentina, Brazil, Chile, and Colombia since the early twentieth century. We uncover variation across countries and over time that the literature on industrialization had overlooked. Rather than providing a single explanation of how specific shocks or policies shaped the industrialization of the region, our argument is that the timing of the industrial take off was linked to initial conditions, while external shocks and macroeconomic and trade policy explain the variation in the rates of industrialization after the 1930s and favorable terms of trade and liberalization explain deindustrialization after 1990. The long road of protectionism in Latin America in the decades between 1930 and 1990 led not only to import substitution of goods, but also of ideas. During those decades each country thought its way of development distanced from its neighbors, despite relatively similar schools of thought under the care of the Economic Commission for Latin America and the Caribbean (ECLAC). The result was a myriad of studies focused on peculiarities – what made each country unique in its backwardness – largely ignoring the possibility of comparative perspectives. Of course, comparative studies existed, but the view of Latin America as an object of study until the 1980s was delegated to a secondary place, shared more by international agencies and foreign researchers who sought a more macro understanding of the region. During the last three decades things changed, but we still feel the effects of these“lost decades”. “Intellectual isolation” was especially true in Brazil, which until today has very few university courses on the economic history of other Latin American countries. The paper of Gerardo Paolera, Xavier Durán, and Aldo Musacchio, therefore, is a much welcome attempt to understand the differences in long-term development in South America using comparative data for Argentina, Brazil, Chile, and Colombia. They present a history of industrialization in these countries putting together series of manufacturing value added, labor productivity in manufacturing, the size of the labor force, and trade series for the whole twentieth century (until 2010, actually). Despite arguing that they estimated new figures when the data was not available, the authors mostly use secondary sources for macroeconomic data (for example, Brazil’s data comes from IPEA, a government agency). The paper’s main argument is that the long-term series of industrial GDP suggest that the patterns of industrialization in those countries were heterogenous, and initial conditions – such as level of urbanization, literacy and infrastructure development at the end of the 19th century – mattered more for the timing of industrial takeoff than policies or external shocks. Therefore, the authors reject traditional hypotheses that have tried to explain the industrialization of South America using “one single theory”. Among these traditional explanations are the “adverse shocks” hypothesis, industrialization as a product of export-led growth, and industrialization as the product of import substitution industrialization (ISI). The paper then proceeds to explain the differences between the four countries during the following periods: 1) before 1920, 2) the 1920s, 3) the Great Depression, 4) World War II, 5) the 1980s, 6) 1990s and beyond. According to the paper, the long-term industrial series show that “none of these hypotheses explain all cases for the entire century.” Moreover, changes in external conditions and domestic policies explain part of the variation in the rates of industrialization only after the 1930s. In their review about the different periods of industrialization, the highlight is for the effects of ISI policies on industrialization. They present a “real distorted import price” index – which are import prices multiplied by the average tariff and the nominal exchange rate – to show the correlation between price distortion of imports and growth of manufacturing as a percentage of GDP. This correlation is widely known in the historical literature, but bringing together data for the South American countries helps us to understand the relative size of barriers to trade in each country. Paolera, Duran, and Musacchio’s paper is an interesting contribution, however, it is not clear how much of it is a revisionist interpretation of South America’s industrialization. It would be interesting to have a better sense about how much the literature on Latin America industrialization in the twentieth century really argues that the process was homogeneous across countries and that domestic and initial conditions did not matter. Even in books that summarize the literature, such as Bértola and Ocampo (2012) there are clear differences between the countries and initial conditions (their Human Development Index for example). As a side note, it also feels unnecessary to argue that the countries shared similar culture, religion, and colonial origin to “control” for cross-sectional variation. Is there really a relevant connection between these conditions and different periods and types of industrialization? Besides the fact that many Argentineans, Brazilians, and Chileans will try to “argue” that they have a very different culture (and, in the case of Brazil, colonial origin), it would be good to show if the traditional hypotheses make these connections. Moreover, since initial conditions (human capital) mattered for industrialization, why is East Asia a proper counterfactual for Latin America? The authors argue that we “need to improve our knowledge” on this issue, but it feels there is room to present more recent research about the topic, not only Robert Wade’s (1990) book: in the style of Liu (2017) and Lane (2017). Also, as a suggestion, it would be interesting to see the index for “real distorted import prices” for East Asian countries, as it would teach us something about Latin America. The 1980s and 1990s could also have a more extensive literature review. For example, the paper argues that the improvement in terms of trade after the 1990s was associated with “some form of Dutch Disease”. However, there is not sufficient evidence to make this statement. Their measure of de-industrialization, which is a declining share of manufacturing in total GDP, is a limited way to measure de-industrialization, especially when productivity of the other sectors (like agriculture) was increasing. The lower share of manufacturing after the 1980s could also be a form of correction after the excesses of the 1960s and 1970s. Indeed, we still do not have a clear answer about the opportunity cost of those policies. Nevertheless, the Brazilian’s government attempt (and failure) to resuscitate the policies of the military regime in the years after 2008 shows us that the cost-benefit of industrialization at any cost in previous decades needs to be re-evaluated (as they were in Musacchio and Lazzarini 2014). After three decades of declining knowledge barriers between South American countries, perhaps it is time to “demand” the next step in historical comparative studies: micro studies. Bertolá, Luis and José Antonio Ocampo’s The Economic Development of Latin America since Independence. Oxford: Oxford University Press, 2012. Lane, Nathan. “Manufacturing Revolutions. Industrial Policy and Networks in South Korea.” Job Market Paper, Institute for International Economic Studies (IEES), 2017. Liu, Ernest. “Industrial Policies in Production Networks.” Working Paper, Princeton University, 2017. Musacchio, Aldo, and Sergio Lazzarini. Reinventing State Capitalism. Leviathan in Business, Brazil and Beyond. Cambridge, MA: Cambridge University Press, 2014. Wade, Robert. Governing the Market. Economic Theory and the Role of Government in East Asian Industrialization. Princeton, NJ: Princeton University Press, 1990. This entry was posted in Economic History, Latin America, Uncategorized and tagged Argentina, Brazil, Chile, Colombia, deindustrialization, external shocks, industrialization, liberalization, macroeconomic policy, manufacturing, terms of trade, trade policy, twentieth century on 2018-04-25 by Thales ZP. This entry was posted in Economic History, Europe, Reblog, Uncategorized on 2018-03-22 by bbatiz. Are businessmen from Mars and businesswomen from Venus? This entry was posted in Uncategorized on 2018-03-13 by bbatiz. Why did cycling become professional as early as the late nineteenth century, while other sports (such as rugby) and other sport events (such as the Olympic Games) remained amateur until the 1980s? Why are the organizers of the most important bicycle races private companies, while in other sports such as soccer the main event organizer is a nonprofit organization? To what extent have bicycle races changed since the late nineteenth century? And how does cycling reflect long-term economic changes? The history of professional road cycling helps answer these questions and understand many related phenomena. This chapter provides a long-term, historical perspective on (1) professional road cycling’s economic agents, i.e., the public, race organizers, team sponsors and riders, and the relationships amongst them; (2) cycling’s governing body, the International Cycling Union; and (3) professional cycling’s final product, i.e., the show of bicycle races. More precisely, the chapter mostly focuses on the history of male professional road cycling in Western Europe since the late nineteenth century. 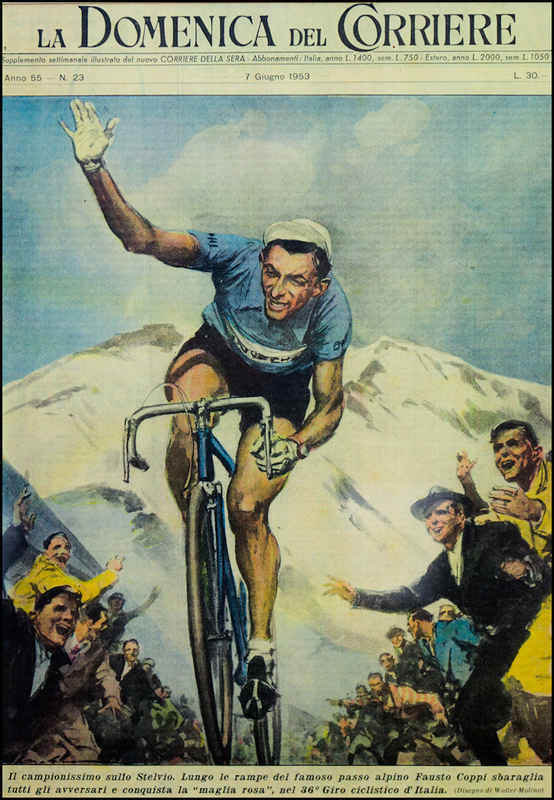 It is founded on both an analysis of quantitative time series on the Grand Tours (and, to some extent, the classics) and a review of the existing literature on the history of professional cycling, whether economic history, institutional history, cultural history, or sport history. Revised by: Stefano Tijerina, Ph.D. The professionalization and commercialization of sports illustrates the forces of capitalism in action, as its culture and institutional structures transition from the local to the global in response to the demands of the market and the increasing interdependence among multiple private and public stakeholders. In his brief history of professional road cycling Jean-François Mignot demonstrates how the sport is transformed throughout the twentieth century as it transitioned from amateur to professional. Mignot argues that the professionalization of this sport anticipated many other international sports because the forces of capitalism pressured the athletes to abandon their amateur status early on in order to secure an income. His research reveals the early infiltration of the private sector within the culture of cycling in Europe, the institutional transformation of the sport, the market’s impact on the institutional structure of bicycle racing, and its integration into the global system. Ultimately, his historic analysis allows the possibility of drawing parallels with the processes of transformation experienced by other goods, commodities, and services that adapted to the inevitable pressures of the expansion of capitalism. Jean-François Mignot’s research shows that the idea of organizing road race competitions around the commonly used bicycle emerged from the desire of newspapers across Europe to sell more newspapers through this new and creative marketing scheme. Newspapers in France, Belgium, Spain, and Italy began organizing races on public roads in the late 1800s to show the public that human and bicycles could cover vast distances across flat and mountainous terrain. As indicated by Mignot, early races of 25 to 70 hours in duration covering 250 to 400 kilometers became epic sporting events of duration and perseverance among extraordinary European athletes. The media’s construct of these epic figures created the thirst for road cycling, but it was the fact that the spectator standing on the side of the road was only able to watch the spectacle for a few seconds and depended on the print media to recreate the rest of the race, that pushed newspapers into the sponsorship business. It was this interdependent relation between spectator, athlete, and newspapers that inspired the print media industry to organize these road races, hoping that races would become magnets for advertisement sales. 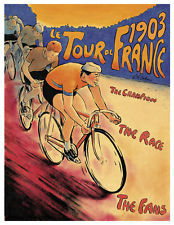 As indicated by Mignot, “cycling fans demanded more information” and “pictures of the race,” and the race organizing newspapers were interested in supplying the demand by covering the races in detailed form as they watched circulations increase. The one-day races or “Classics” and the three-week “Grand Tours” became the backbone of professional road racing in Europe. By the 1930s newspapers had monopolized the sponsorship of the events, while fans filled the roadways accompanied by publicity caravans “that distributed product samples to spectators.” Meanwhile bicycle and tire companies became the sponsors of teams, as individual riders were replaced by teams that worked on behalf of the stars that made up the top cycling teams in Europe. In the early stages of professionalization, cycling stars did not receive any wages and were therefore forced to secure their income through race earnings. The increase in the popularity of the sport was followed by the increase in riders’ income. The interdependent relations necessary for the expansion of capitalism slowly developed; increasing sales motivated the newspapers to improve the quality of the spectacle by increase the race winnings, forcing the sponsors to offer better wages in order to recruit and maintain the loyalty of the top cyclists, ultimately attracting more fan-base that in turn attracted other secondary sponsors that turned the caravans into marketing spectacles as well. This became even more lucrative as other means of communication joined in, particularly radio and later on television. Jean-François Mignot points out at the first three decades of the Cold War was a period of crisis for the sport in Europe, emphasizing that urbanization and the increasing sales of motorcycles forced bicycle manufacturers to decrease their team sponsorship funding and ultimately sending the salaries of professional riders in a downward spiral. This, argued Mignot, forced the professional rider to seek sponsorships outside of the bicycle world. The stars and their teams began to tap the “extra-sportif” market for sponsorship and this market segment was quick to capitalize on the opportunity. Jean-François Mignot points out that sponsoring newspapers and bicycle companies interested in protecting their own profit margins opposed the penetration of “extra-sportif” sponsors by trying to control the rules of the sport in order to impede their participation, but at the end the market forces prevailed. This European crisis that unfolded between the 1950s and 1980s was in fact the initial era of global commercialization of the sport. Mignot’s Euro centrism impedes him from moving beyond the region’s Grand Tours and Classics, not recognizing that the “extra-sportif” sponsorships that challenged the status quo took professional cycling outside of Europe and introduced it to the rest of the world. For example, by the 1950s radio transmissions of the European races were common in distant places like Colombia where their own private sectors had replicated the European business model and established lucrative professional road races to supply the local demand for professional bicycle road racing. 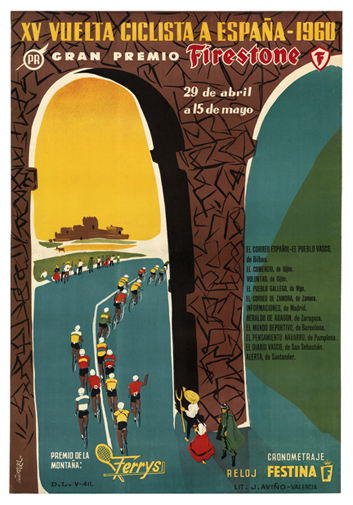 The first edition of the Colombian Grand Tour, La Vuelta a Colombia, was organized in 1951, and by then several local Classics like the Tunja-Bucaramanga and the Medellín-Sansón were already engrained in the Colombian cycling culture. As in the case of Europe, local newspapers like El Tiempo became interested in sponsoring the local Grand Classic as a means to increase sales and circulation, but contrary to the European distrust of “extra-sportif” sponsors, the Colombian organizers welcomed other private local sponsors including the national airline Avianca, the Bavaria brewery, Avisos Zeón and the Flota Mercante Grancolombiana. The crisis of professional bicycle road racing in Europe described by Mignot was certainly caused by a decreasing popularity of the sport and the internal struggles over the monopoly of the sponsorship and management of the sport, but it was also the market’s response to the emergence of other professional sports in Europe as well as the professional cyclist’s ability to capitalize on the globalization of the sport. It was an illustration of how, in a capitalist system, the internal saturation of a market led to the natural expansion into other global markets, as in the case of Colombia in the 1940s and 1950s. Such was the case of French Born, José Beyaerst, the 1948 Olympic road race champion who moved to Colombia after the Second World War, winning the second edition of the Vuelta a Colombia in 1952 and later on establishing a career as the coach for the Colombian national cycling team. Beyaerst would make Colombia his home, developing the professionalization of the sport and becoming a key player in what would later become one of the cycling powers of the world. The expansionism of the sport would reach all corners of the world between the 1950s and the 1980s, it was a period of crisis for Europe as Mignot points out but it was a glorious time for global professional bicycle road racing. Television was the game-changer, spearheading the resurgence of professional cycling in Europe in the 1980s. Taking advantage of the integration of Europe, race organizers capitalized on the magic of television to attract new European audiences, redesigning the stage circuits of the Grand Tours (Giro d’Italia, Vuelta a España, and the Tour de France) with the intention of tapping new urban centers that were outside of Spain, France, and Italy. Television also globalized the European Grand Tours, introducing the cycling stars to the world, providing an opportunity for sponsors to reach a global audience, selling commercial air space, and as a result increasing revenues, salaries and profits for the whole sport. Jean-François Mignot points out that the globalization of the sport also impacted the nature of cycling teams. By the 1980s the teams competing in the Grand Tours were no longer made up of Spanish, Italian, and French riders; their nationalities diversified and so did their sponsors. Although Mignot highlights the fact that by 1986 the American Greg LeMond had won the Tour de France, Colombia’s Lucho Herrera had conquered the Vuelta a España (1987), the Russian Evgueni Berzin the Giro d’Italia (1994), and the Australian Cadel Evans the Tour de France (2011), he does not point out that these foreign cyclists also brought with them new local sponsors that then began to compete with European sponsors. Mignot avoids talking about the American Lance Armstrong, leaving a large gap in the history of the globalization of the sport, considering that the American rider won seven consecutive Tour de France championships (1999-2005) before the US Anti-Doping Agency and the Union Cycliste Internationale stripped him from his titles after a doping scandal. Although LeMond popularized cycling racing in the United States it was Armstrong that converted it into a multi-billion dollar industry bringing in American brands such as RadioShack and Motorola into the world of cycling. Jean-François Mignot’s research illustrates how the sport expanded globally as the Western World exported the idea of the professionalization and commercialization of cycling, taking advantage of the expansion of Western culture across the world, the increasing leisure time and incomes of the global population, and the increasing communications technology that allowed viewers from across the world to connect with the live stage by stage action of the Grand Tours and the Classics. Nevertheless, his Euro centric approach impedes him from explaining how the professionalization of the sport evolved outside of Europe. Although Mignot clarified early on that his analysis centered on Europe, this approach weakened his argument regarding the globalization of the sport and its repercussion on the European construct, as foreigners began to conquer and dominate the sport as in the case of Americans Greg LeMond and Lance Armstrong, or the current stars South African born Christopher Froome and the Colombian climber Nairo Quintana. The incorporation of a broader global perspective would have allowed Mignot to test whether or not the professionalization of the sport in other markets was also spearheaded by other local newspapers or if on the contrary other media and non-media-based sponsors jumped on this business opportunity. It would have also been important to identify when professionalization took place in other markets to compare whether or not the influence of the European sport transcended the borders in a timely manner or even identifying political, economic, social, and cultural factors that delayed its expansion into other global markets. Moreover, it would have been important for Mignot to link the policies of the Union Cycliste Internationale to the globalization of the sport, as well as the escalation of global competition among bicycle manufacturers, and the global competition between scientists, technological designers, and pharmaceutical industries that centered on the legal and illegal preparation of the current athlete. Jean-François Mignot. “The History of Professional Road Cycling.” HAL archives-ouvertes.fr, https://halshs.archives-ouvertes.fr/halshs-01326719/document, June 5, 2016, p. 4. “Vuelta a Colombia Historia.” Ciclismo colombiano – La Vuelta a Colombia. April 25, 2007. Accessed November 21, 2016. http://ciclismo.al-dia.info/index.php?option=com_content&task=view&id=13. Mignot, “The History of Professional Road Cycling,” 5. This entry was posted in Business history, Capitalism, Economic Geography, Economic growth, Economic History, Europe, Globalization, Latin America, Uncategorized and tagged business history, globalization, Latin America on 2016-11-23 by Stefano Tijerina. This is a very interesting article. It focuses on what is a hot topic today in British jurisprudence, and sets it within a strong historical context. It shows a deep understanding of the issues concerning statutory interpretation, and the consequent pressures facing juries. The uniqueness of this article is that it explores the extent to which juries were influenced by the severity of the punishments available to Judges. The article draws on thousands of pages of testimony from the Old Bailey Court Records. This magnificent online resource has opened several new possible avenues of research into the legal history of the United Kingdom, and this article will undoubtedly make a very important contribution in this field. In examining the wide range of material from thousands of court cases, the authors conclude that the pressures on jurors were immense. These pressures, and ultimately their decision on whether to convict, were deeply influenced by not only moral judgements reached by individuals, but emotional considerations based on the severity of the sentence likely to be passed. In the nineteenth century, when punishments such as transportation to Australia were used for crimes, this would often lead to the death of those convicted (owing to the bad conditions and the length of the journey) and raise deeper questions about the quality and validity of the evidence. The conscience of jurors certainly would be provoked if the person sentenced to transportation or death was later found not guilty of the crime to which they were convicted. The common scene of a public hanging had been an integral part of the English Legal System, but was now becoming more open to question in the latter part of the nineteenth century. In their detailed analysis of the statistics concerning conviction rates, the authors show that there was an overall increase of 7.6% in convictions after the abolition of the death penalty. This was taken as an average across a range of offences. The area seeing the largest increase in convictions was for sexual offences (increasing by 34.5%) and fraud (increasing by 22%). However, the authors argue that these convictions, passed in the latter half of the nineteenth century, did not occur against a backdrop of improved evidence in court. In fact, they suggest that since the abolition of the death penalty in the twentieth century, it is possible that jurors were more ready to convict in the knowledge that this would lead to imprisonment (and subsequent release if found not guilty) than if capital punishment had remained in place. Another aspect explored by the authors is whether there is a connection between capital punishment and criminal behaviour. Citing the 1823 Judgement of Death Act, the authors note that Prime Minister Robert Peel used this legislation to render capital punishment discretionary for judges (except for murder and treason). This could potentially explain the rise in convictions for other crimes that the authors cite, suggesting again that the absence of capital punishment for these crimes made juries more likely to convict. Moreover, they allude to the procedural changes that occurred with the conduct of juries in 1974. Hereafter, juries would only be permitted to listen to one case, and would remain in charge of the case until its conclusion (or their removal by a judge). Previous regulations permitted juries to listen to several cases. This procedural change was in part to ensure the quality of decision-making to facilitate the best form of justice to all through the age-old English legal system that ensured trial by your peers. The latter part of the paper uses complicated (and very impressive) quantitative methods to identify the discontinuities caused by the changes to the sentencing provisions. The overall conclusion is that not only the ultimate abolition of capital punishment in Britain in the twentieth century contributed to increased convictions, but that changes to sentencing laws provided fertile ground for increased criminality. While the reasons for this are not explored in detail, they could be connected to contemporary debates on this topic, where Conservatives have traditionally argued that ‘softer’ punishments, and community rehabilitation does not provide a deterrent for criminals. The dilemma facing juries was whether their conviction would result in the death penalty. Later evidence showing that the accused was innocent would prove a major factor influencing juries when considering the legal punishments open to them when listening to court cases. There is a lot of insightful analysis and information in this paper. The connections that it develops between changes to sentencing law and the impact on juror’s psyche is interesting and new. It is based on a sound and comprehensive archival base that shows a deep understanding of the legal context. It answers its original research question comprehensively. Any suggestions for improvement would seem like a criticism, which I do not intend to make, as I believe this paper will make a very important contribution to the historiography of the English legal system in its current form. My suggestions perhaps would be more aptly placed if they were offered as possible suggestions for future research. For example, it would be interesting to get more information (if it is available) about the social class from which jurors were drawn. Since juries were supposed to reflect the composition of society, it would be interesting to see whether there were correlations between sentencing and the social demographic from which the jurors came. For example, would a conviction of a working-class criminal be more likely with a jury comprising people from predominantly a higher social class. I appreciate that this is a completely different research question, but as noted, this paper has comprehensively answered its own research question but has posed several others that may be worthy of investigation. Furthermore, this paper has examined the thousands of materials available at the Old Bailey, but would there be any scope to extend this research to a local level, to ascertain whether there were any local or regional variations to these findings? Nevertheless, this is a most impressive paper, and I hope that we will hear a lot more from these authors on this topic. Burns, Arthur, and Joanna Innes. Rethinking the age of reform: Britain 1780-1850. Cambridge University Press, 2003. Croall, Hazel. Crime and society in Britain. Longman, 2011. Christoph, James Bernard. Capital Punishment and British Politics: The British Movement to Abolish the Death Penalty, 1945-57. London: Allen & Unwin (1962). Smith, Susan J. “Social relations, neighbourhood structure, and the fear of crime in Britain.” The Geography of Crime. London: Routledge (1989): 193-227. This entry was posted in Uncategorized on 2016-11-03 by crowleymarkj.